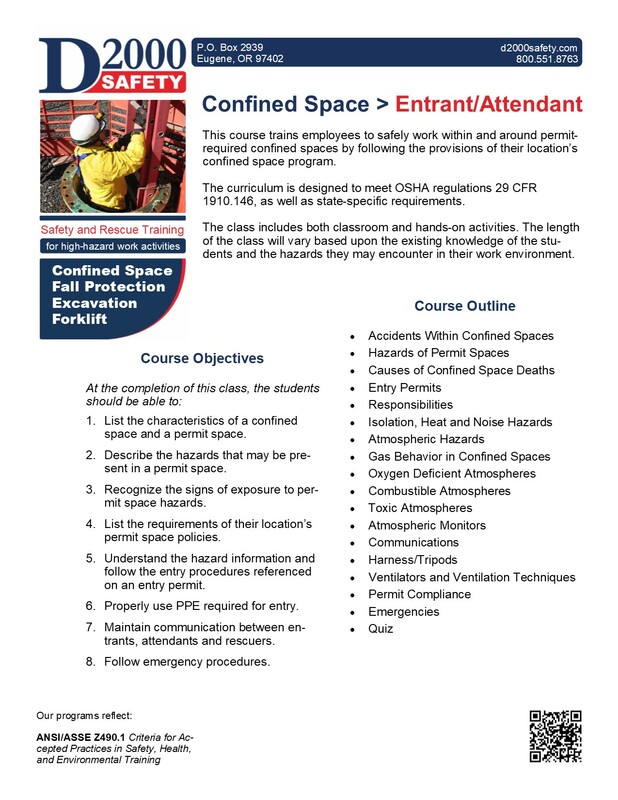 Confined Space: Entrant and Attendant | D2000 Safety 29 CFR 1910.146 and all state-specific variances. This course requires about four hours depending on the class size. The content is customized to reflect site-specific concerns.